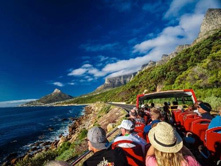 Explore some of the most beautiful sights and locations in Cape Town with these tours offered by Wide Africa. Discover Cape Town’s unique cuisine, swim with sharks, hike Table Mountain, or taste wine from the Franschhoek Valley. 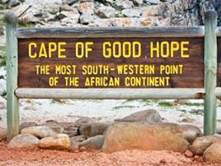 With several exciting tours Cape Town planned there is something for everyone. For more information and assistance with booking your tour, please email from Wide Africa or phone +27 (0)83 9779 459. So much about a country and a culture is expressed through its cuisine. 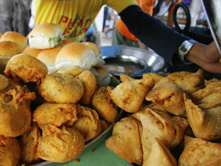 The first thing we recommend you do when travelling is head out to taste the local dishes. In South Africa, much of the cuisine is a “home cuisine” and to get a taste you really need to search hard! 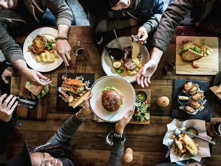 As such this tour aims to combine the history of our country and city through exploring the back streets to find the tastes that represent our entire rainbow nation. Today you will walk the streets of Cape Town and experience its history, its people and its gourmet delights. En route you will stop to taste a mixture of traditional food, South African street food and to visit some artisanal foodie and coffee shops. This way you will enjoy a real taste of the Cape! Africa’s favourite city sits on the edge of an epic, mountainous peninsula that curls out between two mighty oceans 60 km south-west of Cape Town. The peninsula is home to a unique beauty thanks to its breath-taking terrain and spectacular local endemic floral biome which surrounds the lighthouse and funicular. Your journey for the day will depart between 08:00am – 08:30am from your hotel and end at approximately 5:00pm when you will be dropped back at your hotel again. This trip along the beautiful Coastline of Cape Town This peninsula trip boasts some of the most breath-taking and unique scenery in the world. 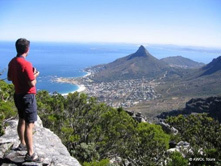 The full day Cape Peninsula tour combines a fascinating collage of Cape Town’s beaches, mountain ranges and wildlife. The main highlights of the trip include the Atlantic Seaboard (including a drive through Hout Bay), Chapman’s Peak Drive (weather permitting), Ou Kaapse Weg Scenic Drive, Cape of Good Hope Nature Reserve, a Funicular ride at Cape Point to view the Cape of Good Hope from the apex of steep cliffs where the Old Lighthouse stands, a visit to the mainland penguin colony at Seaforth and Historic Simon’s Town Naval Base. Your taste sensational full day Winelands tour will begin with a 09:00am collection from your hotel, and you will return around 5:00pm. 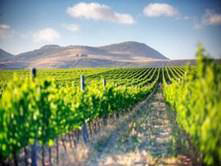 Savour the renowned, fine wines of the Cape amidst the magnificent scenery that homes the Cape’s award-winning wine estates, and enjoy captivating mountain passes and charming towns stepped in history during this captivating tour. 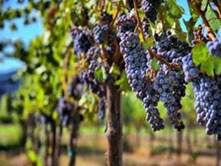 Highlights include numerous wine tastings at a variety of estates, perfectly selected and suited to your wine preferences, a superb lunch in either Stellenbosch or the quaint village of Franschhoek, as well as an informative, orientation drive through Stellenbosch, the second oldest town in South Africa, to learn about the history of these fertile winelands. In 1659, the first wine was pressed from Cape Grapes and Governor Simon van der Stel realised the great potential of the fertile Cape lands. 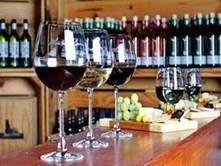 Wine estates are scattered like treasures throughout the region; and with so many wines to choose from it is easy to feel a little overwhelmed. 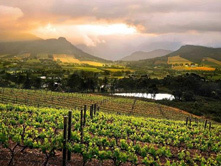 Let your expert guide take care of the details and lead you on a compelling journey around the Cape Winelands. Children are easily accommodated with ‘non-wine’ activities during this tour. When you book a trip with Dyer Island Cruises, the evening before your tour they will contact you or your hotel to confirm the time of your tour. Trip times vary with weather and tide conditions. Once you have arrived at The Great White House, you will receive a brief introductory talk about the route, safety, and what to look out for. Passengers are fitted with comfortable life-jackets and waterproof jackets. Safety is of the outmost importance and Dyer Island Cruises have extensive public liability insurance. Trip lengths are between 2 and 2.5 hours, depending on sightings and weather conditions. 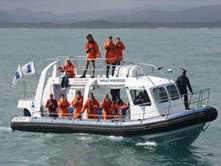 All cruises depart from Kleinbaai harbour near Gansbaai. Found only in Gansbaai, Dyer Island is located 8 km from shore and is an access controlled Important Bird Area (IBA) for the conservation of its many resident bird species, including African penguins. 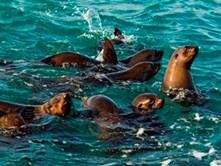 Adjacent to Dyer Island is Geyser Rock, home to a 60,000 strong Cape fur seal colony. These seals are present all year round. They will take you into the channel of water between Dyer Island and Geyser Rock known as the world famous ‘Shark Alley’. After this they will proceed to the whale hot-spots in the bay. 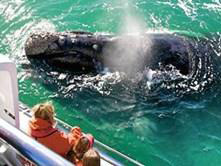 With over a decade of experience, not only do they know where to expect the best whale viewings, but the whales have also learned where to expect the boat! 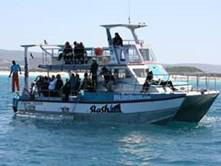 Dyer Island boasts South Africa’s largest boat-based whale identity catalogue and see re-sightings of the same individual whales year after year. When you book a trip with us, the evening before your tour we will contact you or your accommodation to confirm the time of your tour. Trip times vary with weather and tide conditions. Once you have arrived at The Great White House, you will receive a brief introductory talk about the route, safety, and what to look out for. Passengers are fitted with comfortable life jackets and waterproof jackets. Safety is of the outmost importance. We have extensive public liability insurance. Trip lengths are between 2 and 2.5 hours, depending on sightings and weather conditions. 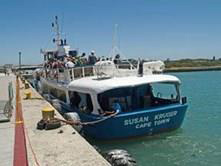 All cruises depart from Kleinbaai harbour near Gansbaai. 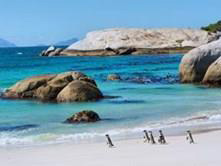 Found only in Gansbaai, Dyer Island is located 8 km from shore and is an access controlled Important Bird Area (IBA) for the conservation of its many resident bird species, including African penguins. Adjacent to Dyer Island is Geyser Rock, home to a 60,000 strong Cape fur seal colony. These seals are present all year round. 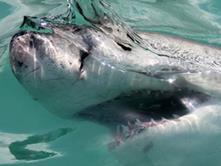 We will take you into the channel of water between Dyer Island and Geyser Rock known as the world famous ‘Shark Alley’. We will then take you to the whale hot spots in the bay. With over a decade of experience, not only do we know where to expect the best whale viewings, but the whales have also learned where to expect us! We pride ourselves on being both fun and educational. Experienced marine biologists and guides who will share their knowledge with you, keeping emphasis on the welfare and conservation of the animal, lead each trip. Responsible tourism is our main objective so we focus on conservation, education, community upliftment and safety. Uthando South Africa will take you on a township tour with a difference! 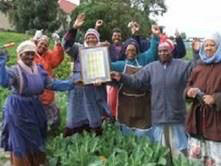 You will be offered a unique insight into and interaction with cultures and individuals who live in some of the most impoverished communities in the Cape. Witness everyday life in a demanding environment and share in people's hopes and achievements. Township tours remind the tourist how the will to survive can overcome any adversity. Uthando is known as “the vehicle for change” and the goal of founder James Fernie, is to uplift previously disadvantaged communities by harnessing the goodwill and compassion of tourists to Cape Town. 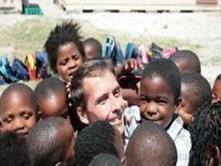 By taking an Uthando tour, clients directly contribute to this noble cause. During your visit, you will discover how the traditional healers, traders, markets, “shebeens” (taverns) and the church each play an important role in the community. 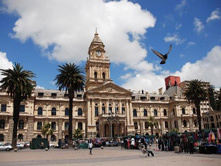 In addition to visiting specific projects which have been hand-picked by James, this tour will give you a meaningful insight into the colourful political history of South Africa. Your spirited encounter with a unique part of the Rainbow Nation will surely remain a treasured memory of yours forever. 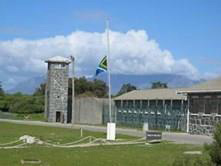 Robben Island has a complex, sensitive eco-system. 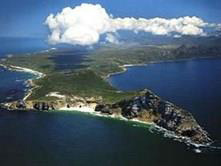 In terms of South African law, the Island is a protected nature conservation area and, as a World Heritage Site, has to balance additional stringent conservation requirements with the Museum's mission of ensuring public access to the Island's heritage. 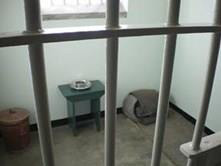 The standard tour to Robben Island is 3.5 hours long, including the two half-hour ferry rides. Ferries depart at 9am, 11am, 1pm and 3pm, weather permitting, from the V & A Waterfront in Cape Town. You've likely familiar with surfing, kitesurfing and windsurfing, but has stand up paddle boarding (SUP) made it onto your to-do list? Started in Polynesia, SUPing or stand up paddle boarding is now one of the most explosive water sport crazes around the world. 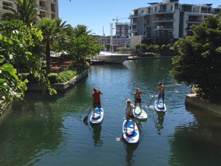 Glide across the glassy surfaces of the Mother City’s lakes, canals and oceans with the right foot forward. Billed as being both mellow and meditative, paddle surfing treats participants to 360-degree views of the surroundings, with plenty of opportunity to spot some of the exquisite marine life Cape Town’s oceans are home to. 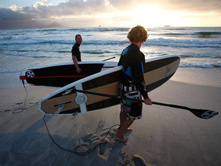 Learn to surf on one of Cape Town’s most iconic beaches, Muizenberg Beach. Sign up for professional surfing tuition and coaching or rent a board for a few hours. 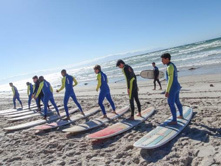 Muizenberg Beach is known for its gentle sloping sandy white beach and consistent waves making it conducive to learning the art of surfing quickly and safely. Rising to just over one thousand meters directly from sea level, Table Mountain ranks in status alongside famous African giants such as Kilimanjaro and the Atlas Mountains. For the more energetic, experience the wonders of the Cape Floral Kingdom on a hike. 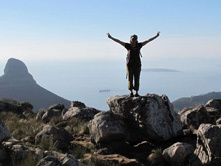 Start the day in the most exciting and active way possible - you will summit Table Mountain on an exhilarating hike! Enjoy the fauna and flora and the breath-taking views on your way to the top and once you reach the peak, take in the 360-degree views while tracking Dassies (Mountain Rock Rabbits) that can often be spotted on the table top. An optimum route is chosen from this selection, based on your fitness and according to the Cape’s unpredictable weather at the time. One of the most popular routes is Platteklip Gorge. Platteklip Gorge: 2-3 hours – easy to moderate hike up the most popular route. Guests are met at their accommodation and then transferred to just past the lower Cableway station for a short and steep hike. The well-worn switchback of steps to the top makes it one of the most popular hiking options up Table Mountain. No bouldering or scrambling is required. Once at the top, enjoy a picnic lunch while taking in the views of Cape Town and beyond. 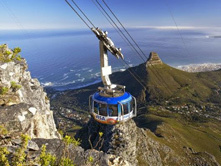 Weather permitting, the AWOL guide will organise tickets and then proceed down Table Mountain in the aerial cableway. This can take up to 60 people at a time and does a full rotation enabling guests to enjoy 360-degree views of Cape Town, Lions Head and the Mountain itself. The duration of the hike is dependent on your level of fitness. 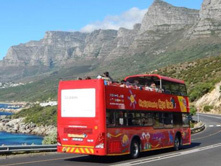 Hop onto an open top red bus and explore the Mother City, as she is affectionately known. With over 30 stops and taking you to over 50 of Cape Town’s top attractions, the bus allows you to hop-on and hop-off at your leisure. With our buses scheduled to stop at regular intervals, you will have plenty of time to uncover the city's treasures. So, whether you want to jump off and take a quick scenic pic of Table Mountain or wonder around Kirstenbosch National Botanical Gardens or visit Groot Constantia, the oldest Wine Estate in South Africa, you have the flexibility to do so. 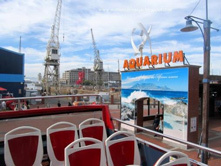 A V&A Waterfront Seal & Harbour Cruise and Canal Cruise are also available. 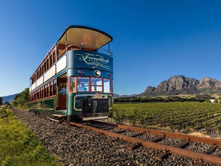 The Franschhoek Wine Tram hop-on hop-off tour is one of the best ways to discover the true essence of the Franschhoek Valley – picturesque vineyards, breath-taking scenery, warm hospitality, world-class cuisine, fine wines and a 300-year history. 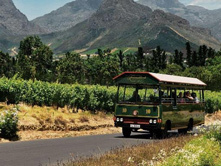 Passengers aboard the hop-on hop-off tour will experience a unique and leisurely way to see the Franschhoek Valley as they journey through rolling vineyards in a double-decker tram and open-air tram-bus stopping in at some of South Africa’s oldest and most distinguished wine estates. A combination of tram and tram-bus transports passengers around a loop of stops allowing them to hop-off at each stop and experience the activities on offer, be it wine tasting, a cellar tour, lunch or simply a stroll through the vineyards and when they are ready, hop-on to continue the tour.